Yvonnia R Bedwell, 85, of Dugger, Indiana, passed away on Wednesday, May 4, 2016, at Glenburn Nursing Home in Linton, Indiana. She was born on February 22, 1931, in Sullivan the daughter of Victor Padgett and Agnes Cowden Padgett. Yvonnia worked at the Sullivan Laundromat for 27 years. She was also a member of the American Legion Auxiliary of Texas. 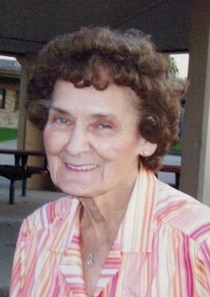 She was preceded in death by her father Victor Padgett, mother Agnes Cowden Hiatt and her husband, Lowell Wayne Bedwell in 2009. Survivors include two sons, Calvin Bedwell (Monica) of Linton, and Doug Bedwell of Carlisle, two daughters, Karen Rode (Tony) of Dugger, and Debbie Landis (Sam) of Dugger, one sister, Mariannia Baldridge (Dennis) of Springfield, Illinois, eight grandchildren, Jason Talley (Erin King), Jodi Gaither (Troy), Derick Landis (Lori), Jana Crecelius (Terry), Megan King (Jared), Branden Bedwell (Heather), Traven Bedwell and Landi Cliver (Caleb) and ten great-grandchildren; AJ, Daisy, Taylor, Addison, Corbin, Beckham, Kauriann, Linkyn, Cashen and Walker. At her request there will be no viewing. A private graveside service will be held at 11:00 AM Wednesday May 11, 2016 at the Dugger Cemetery with Rev John Stone officiating. Arrangements were entrusted to Newkirk’s Funeral Home in Dugger.